Everyone experiences changes in his or her mood. And this is normal. What is not normal is when the mood swings are severe and extreme. What is Mood and what is Affect?? Affect – It is the outward expression of emotion. Mood– It is the way the person feels inside. A Mood is an emotional state. Moods differ from emotions in that they are less specific, less intense, and less likely to be triggered by a particular stimulus or event. Moods generally have either a positive or negative valence. In other words, people typically speak of being in a good mood or a bad mood. Dysthymic Disorder – It is less severe but chronic. Minor depressive episodes do not fully meet the criteria for major depression but can develop into major depression if left untreated. 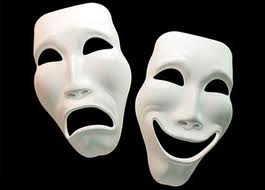 Bipolar disorder is a combination of extreme elation, which is known as mania, and depression. Bipolar I Disorder – Manic or mixed episodes that last at least seven days or the manic episodes are so severe that that the person needs immediate hospital care. Also, the person has depressive episodes lasting for at least two weeks. Bipolar II Disorder – Pattern of depressive episodes shifting back and forth with hypomanic episodes but full-blown manic or mixed episodes are absent. Cyclothymic Disorder – A mild form of bipolar disorder in which the person has episodes of hypomania that shift back and forth with mild depression. Substance – Induced Mood Disorder – It is common for people with mood disorders to turn to substance abuse and the substance abuse in turn exacerbates the effects of the mood disorder. Getting an accurate diagnosis is the first step in bipolar disorder treatment. This isn’t always easy. The mood swings of bipolar disorder can be difficult to distinguish from other problems of major depression and borderline personality disorder. Psychological evaluation – The doctor or bipolar disorder specialist will conduct a complete psychiatric history. You will answer questions about your symptoms, the history of the problem, any treatment you’ve previously received, and your family history of mood disorders. Medical history and physical – There are no lab tests for identifying bipolar disorder, but your doctor should conduct a medical history and physical exam in order to rule out illnesses or medications that might be causing your symptoms. Screening for thyroid disorders is particularly important, as thyroid problems can cause mood swings that mimic bipolar disorder. In addition to taking your psychiatric and medical history, your doctor may talk to family members and friends about your moods and behaviors. Often, those close to you can give a more accurate and objective picture of your symptoms. Pharmacotherapy – Depression is treated with anti-depressant medications which work to restore neurotransmitters – serotonin, norepinephrine and dopamine. Bipolar disorder is first treated with mood-stabilizing medications like lithium, valproic acid, etc. For rapid mood cyclers, Rapid Mood Cyclers – Anticonvulsant medications are recommended. Somatic Experiencing – Uncovers repressed traumas and to move past them towards growth and mindfulness. It makes us aware of our inner strengths. If you suspect you have depression or bipolar disorder, speak with the Doctor.